The census above shows Christopher Thomas Langman aged 14 a servant in fact a page employed at Cranham Rectory near Upminster. The photo left was taken shortly after he left in 1904 and shows the Rev Cooke and family. 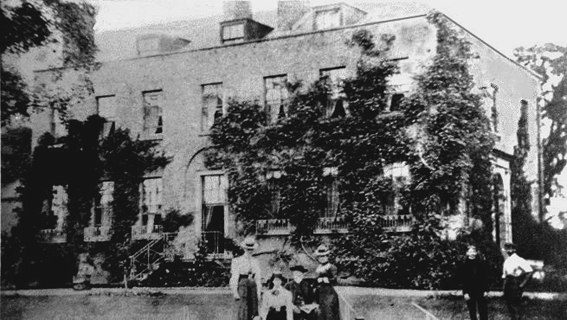 The Rectory was demolished in the 1920s. Below is the Croydon Workhouse Governor's report concering the Rev Cooke's concerns regarding Christopher rejoining his mother Christiana.